WTA stars and BNP Paribas Showdown Qualifiers Kim Clijsters and Svetlana Kuznetsova, the reigning US Open and French Open champions, will test their Wii skills when they play Ubisoft®'s new Racquet Sports for the Wii™ system by Nintendo on the 185" Gardenvision screen at Madison Square Garden at 2pm on February 28th. The Grand Slam champions will officially debut the Fila Spring 2010 Center Court Collection as their Wii avatars go head to head in front of children from the Garden of Dreams Foundation one day before they compete on the real court for the Billy Jean King Cup in the BNP Paribas Showdown. This "match before the match" will be emceed by Scott Lasky of the MSG Network. WTA stars and Grand Slam Champions Kim Clijsters and Svetlana Kuznetsova will be competing for more than just the coveted Billie Jean King Cup at the BNP Paribas Showdown at Madison Square Garden in New York. On February 28th, the day before the showdown event, the reigning US Open and French Open champions will officially debut Fila's Spring 2010 Center Court Collection as they play a "match before the match." The Showdown Qualifiers will test their skills while wearing Fila's latest collection as they compete on Ubisoft®'s new Racquet Sports for the Wii™ gaming console by Nintendo. The "match," played head to head on the 185" Gardenvision screen at Madison Square Garden, will be emceed by Scott Lasky of the MSG Network. Children from the Garden of Dreams Foundation will attend the match, meet the tennis stars, and receive a special gift from Fila & Ubisoft as well as tickets to the BNP Paribas Showdown the next evening. The "match" and subsequent athlete Q&A session will be broadcast live on both http://www.fila.com and ustream.tv at 2:10pm on Sunday, February 28th. Kim and Svetlana will answer questions about the BNP Paribas Showdown, trading in their tennis racquets for Wii remotes and Fila's latest performance tennis collection. Fila's Center Court Collection makes its debut in New York in advance of the the official unveiling at the BNP Paribas Open in Indian Wells where the brand's sponsored female athletes will wear the collection. The Center Court Collection was inspired by Fila's rich history in tennis incorporating a contemporary color story that is bright and youthful in hot coral, viridian green and ebony. Signature pieces in the collection include a halter tank, a gathered wrap skirt and a color blocked sleeveless dress. The Center Court Collection ranges in price from $45 - $68 and will be available at tennis specialty retailers nationwide and on http://www.fila.com. Racquet Sports is a multisport game for the entire family that includes tennis, ping pong, badminton, squash and beach tennis for the Wii™ interactive gaming system. Racquet Sports offers unprecedented realism, and pin-point gameplay mechanics bring every serve, swing and backhand to life while replicating the experience in the comfort of the living room. Clijsters and Kuznetsova are Qualifiers for the BNP Paribas Showdown for the Billie Jean King Cup which will be held for the second year at Madison Square Garden. The pairings for the semifinal matches were determined by using the 2009 year-end rankings, having the highest ranked player take on the lowest ranked. In this fast-paced, no ad scoring format, each participant will compete in a one-set semi-final with the winners advancing to a best of three-set final for the Billie Jean King Cup. Serena (who finished as World No. 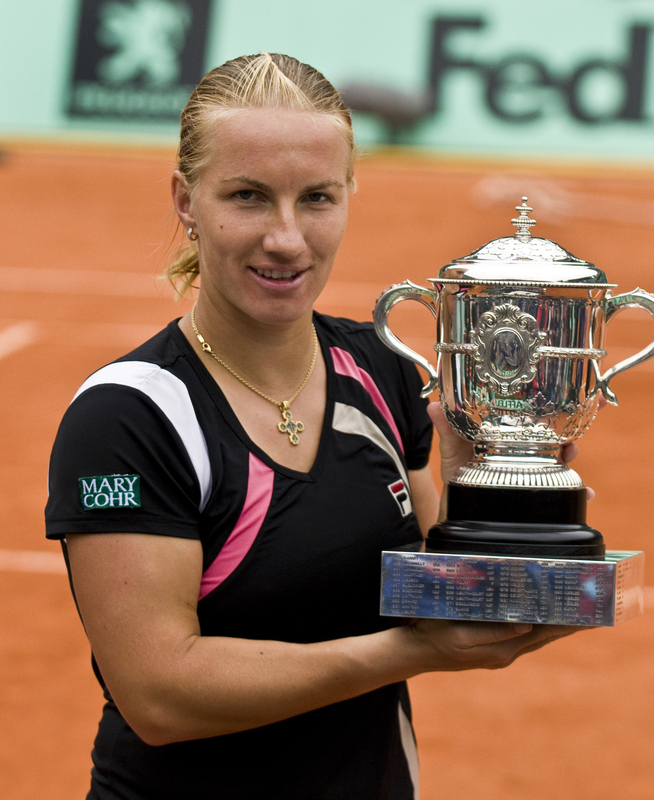 1) and Kuzetsova (No. 3) will be paired against Venus (No. 6) and Clijsters who finished her comeback year at No. 18. Limited VIP tickets and additional tickets ($250.00, $125.00, $75.00, $50.00 and $25.00) are currently on sale and can be purchased at the Madison Square Garden box office, all Ticketmaster outlets and online at thegarden.com. The "BNP Paribas Showdown for the Billie Jean King Cup" is the featured element of the national "Tennis Night in America" promotion. Through "Tennis Night in America", the USTA will continue its efforts to grow youth participation in the sport of tennis. "Tennis Night in America" is among the sport's largest ever grass roots initiatives. The "BNP Paribas Showdown for the Billie Jean King Cup" is produced by StarGames in association with Madison Square Garden. About Fila: Established in Italy in 1911, Fila is a leading manufacturer of sport and leisure footwear and apparel distributed worldwide. The internationally respected company, having gained world class recognition in tennis apparel, has developed brand recognition by marketing products with a high design and style content that are endorsed by professional athletes from around the world. About Ubisoft: Ubisoft is a leading producer, publisher and distributor of interactive entertainment products worldwide and has grown considerably through a strong and diversified line-up of products and partnerships. Ubisoft has teams in 28 countries and distributes games in more than 55 countries around the globe. It is committed to delivering high-quality, cutting-edge video game titles to consumers. For the 2008-09 fiscal year, Ubisoft generated sales of 1.058 billion euros. To learn more, please visit http://www.ubisoftgroup.com. About Stargames: StarGames, LLC (http://www.stargamesinc.com), which, in partnership with tennis great Ivan Lendl, promoted the Sampras/Federer match in March of 2008 at the Garden, is a full service sports marketing and production company based outside of Boston, MA. Now in its 14th year, StarGames produces programming for television, broadband and DVD home distribution, and, in association with Champagne Tennis Etcetera, procures sponsors for major sports and entertainment events. In addition, StarGames creates and produces live sporting/entertainment events, represents professional athletes and operates its own broadband channels through affiliations with YouTube and TVUNetworks. About Madison Square Garden: Madison Square Garden is a fully-integrated sports, entertainment and media business. The company is comprised of three business segments: MSG Sports, MSG Entertainment and MSG Media, which are strategically aligned to work together to drive its overall business, and built on a foundation of iconic venues and compelling content that MSG creates, produces, presents and/or distributes through its programming networks and other media assets. MSG Sports consists of the New York Knicks (NBA), the New York Rangers (NHL), the New York Liberty (WNBA), and the Hartford Wolf Pack (American Hockey League). MSG Entertainment is a leader in managing and creating concerts and events at Madison Square Garden, Radio City Music Hall, The Theater at Madison Square Garden, the Beacon Theatre, the legendary Chicago Theatre, the Wang Theatre in Boston, and produces the Radio City Christmas Spectacular featuring the Radio City Rockettes. MSG Media is comprised of leading television networks MSG, MSG Plus, MSG HD and MSG Plus HD, as well as MSG Interactive, which oversees all company wireless and online initiatives, and Fuse and Fuse HD, the national television network dedicated exclusively to music. The company owns and operates the Madison Square Garden arena complex located in the heart of the New York metropolitan area. More information is available at http://www.msg.com. 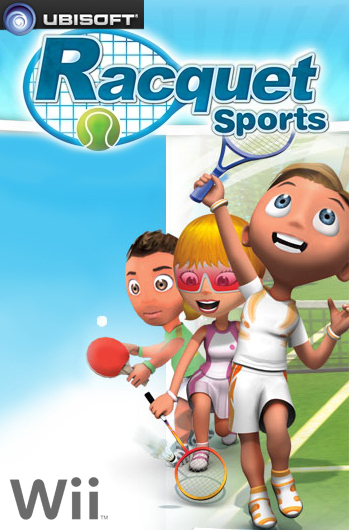 Racquet Sports © 2010 Ubisoft Entertainment. All Rights Reserved. Ubisoft and the Ubisoft logo are trademarks of Ubisoft Entertainment in the U.S. and/or other countries. Asobo Studio is a registered trademark. The technology is the property of Asobo Studio SARL. Developed by Asobo Studio SARL and published by Ubisoft. Wii is a trademark of Nintendo.